Central Arizona College sophomore Tynelle Gumbs, systematically dominated the Region I Championships, winning three of the four throws, ahead of the upcoming National Jr. Colleges Athletics Association Championships on May 17-19, at South Plains College, in Levelland, Texas. 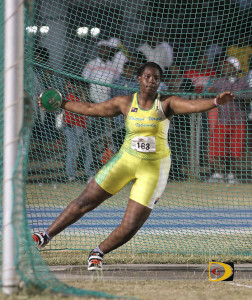 Tynelle used a personal best and National Record throw of 47.76m to win the Discus Throw, upping her best from 47.36m. Twin sister Trevia finished second with a mark of 42.08m. In her final season representing Central Arizona College, Tynelle was coming off winning the Hammer Throw with a 52.21m effort. Trevia missed second place by a centimeter, with her 46,24m toss. Tynelle won her third event of the competition in helping Central to win the title with 309 points, after a season’s best of 40.57m in the Javelin Throw. 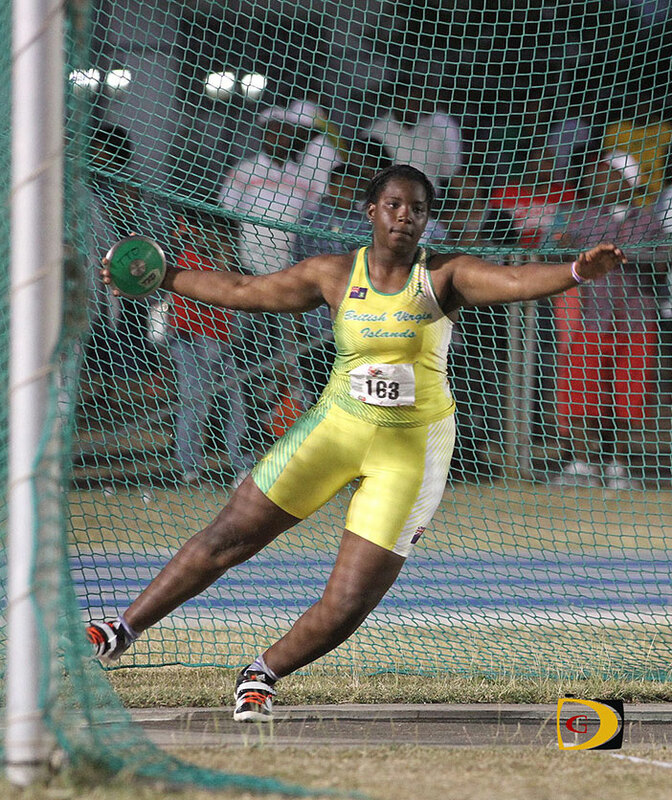 Trevia produced a season’s best 13.36m mark in the Shot Put to finish third, with Tynelle placing fourth with 12.74m. She said she’s feeling good heading into Jr. College Nationals along with her sister. “I’m excited to see what everyone brings to the table, but more excited to see how well I throw,” she stated. “The ultimate aim is to break the Hammer Throw record which is over 60m, so hopefully, that happens. St. Augustine Jr. Khari Herbert, tuned up for the upcoming NCAA Division II Championships in Bradenton, Florida, May 26-28, with a season’s best and second place finish in the 400m at the Liberty Invitational. He had a time of 46.63 seconds.